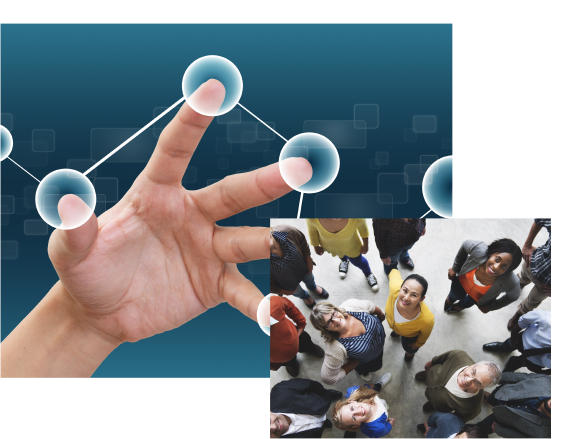 The Social Intelligence Institute teaches the full power and value of human connection to individuals, businesses and communities. Our online and workshop-based training courses are based on extensive research performed in the fields of neuroscience and social, cognitive, and developmental psychology. The courses are continuously tested, peer reviewed, and validated from a scientific perspective. Through social intelligence, learn to read and understand people, and establish meaningful relationships. SI online training can benefit management consultants as they improve their craft. By learning the principles and impact of social intelligence, consultants can in-turn apply it to their techniques. With the focus on the causes of predominately unconscious human behavior, our online course can help police and law enforcement officers see people and situations with greater clarity. This can change the way they interact with residents in the community. Our online training is available to cities around the globe. Our goal is to help individuals, communities, institutions, businesses, and systems within a city to survive, adapt, and grow. SI online training helps clients learn to re-enter their communities and fully engage at work, home and in public. SI online training in schools results in better academic performance, improved attitudes and behavior, and reduced emotional distress. 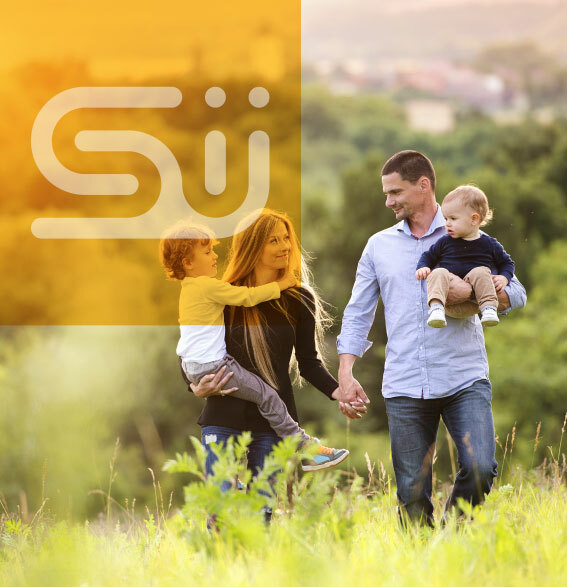 SI online training offers the chance to break patterns of reactivity and help a person learn to successfully navigate their social world. 2017 Kent State University, Arizona State University, Penn State: A National Institutes of Health funded five-year randomized trial of 340 grandmothers who are raising at least one teenage grandchild. The study examines whether the online SI course improves the health and well-being of the grandmothers and/or their adolescent grandchildren. 2013 A one-semester study consisting of 311 university students. 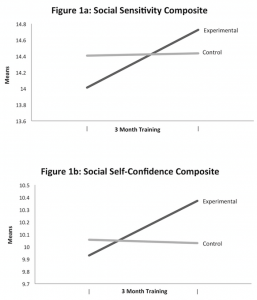 Our results found the course significantly improved perspective-taking, social skills, sensitivity to others’ emotions, and ability to modify one’s behavior when socially appropriate. 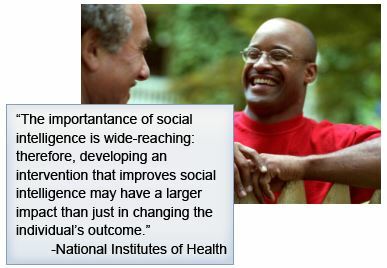 Objective: To determine if key elements of social and emotional well-being change as a result of the SI course. Via The Guardian, Christina Patterson discusses how the workplace is changing quickly, and young people need real-life human interaction to succeed.